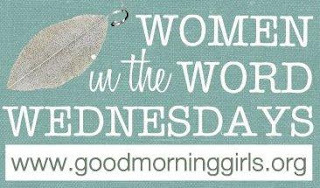 On Friday we finished 6 weeks of Bible study with the Good Morning Girls on the book of Ephesians. We are halfway through! And something real funny happened on Friday. Well, I’ve got to back up a bit and explain why I think it’s funny. I’ve been volunteering with the Winnipeg Film Festival. And the last few months have been really intense with preparations and getting everything ready. We started with our first meetings in September 2011, I believe, and at that point we chose Ephesians 3:20 as our Bible verse for this adventure. And then on Tuesday, Feb 21, the Film Festival started. We had already put in 3 nights of Film Festival, and on Friday morning I was kind of tired and a bit stressed, because the busiest time of the Festival was coming up: Friday, Saturday and Sunday. And would you know it, I opened my Bible study sheet on Friday morning and saw that the verse for Friday was Ephesians 3:20-21. No human could have planned this. Only God! When we picked the verse for the Film Festival I didn’t even know anything about the Good Morning Girls. I came across their website about a week or two after. I love surprises like that! I really do. It just reminds me that God IS in control, that His timing is perfect! And I can trust Him every single time with whatever I’m facing. In His time everything will be solved. I just have to be patient and trust Him completely.